UPDATE: This has been fixed in the latest version of Event Tickets Plus. You still have to install an extension called Add Attendee Information to Woocommerce Emails. We have all had that one client. You know who I am talking about. Before I learned to write iron-clad proposals (thank you Troy Dean) I had this year and a half long project. It drug on because of “Oh one more thing….” The site sold products and “tickets” to classes. The obvious choice was to use Woocommerce and The Events Calendar Pro with Events Ticket Plus. I honestly want to say I love TEC but their support drags on for days if not weeks if you have issues which I always seem to have. Long story short the biggest and last hurdle ended up being the client wanted the class attendee name in the new order email so he didn’t have to log into the website to see the list of attendees for a given class. Sound simple right? TEC event has an extension that does just this. It is named “Additional Email Options“. However, I couldn’t get it to work. 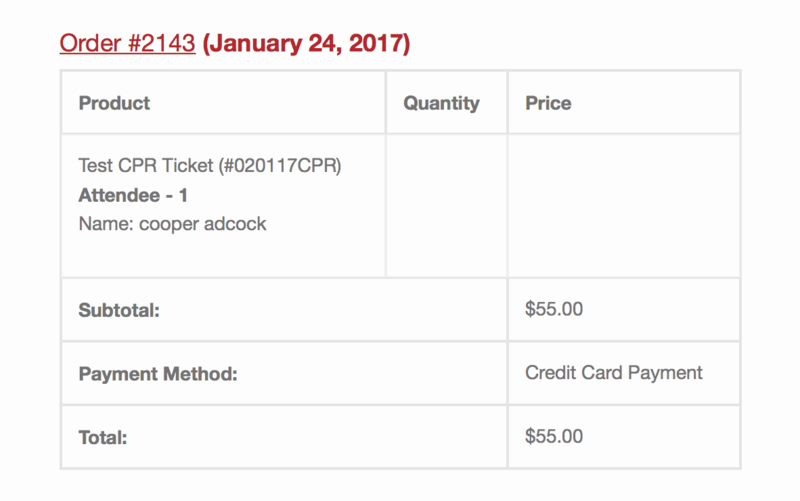 In fact, it caused an error when purchasing non-ticket items. Note: You can’t use any other plugin to control Woocommerce emails and get this to work. (Conditional emails or Pretty emails plugins) Been there, done that. After literally over a month trying to work with support to get the Additional Email Options extension to work it never did. Instead, I found another way around it thanks to a post by Simon on The Events Calendar Forum. I hope this helps someone else looking for a solution to this problem.